Dhaka, Aug 2 (Just News): Most public transports were off the streets in Dhaka today as transport workers say they feel unsafe on the roads and also because passenger turnout is low. Commuters in different parts of the capital were seen struggled to reach their destinations. Inside the capital, presence of public buses was also very low as many public buses are not being brought out, said Mahbubur Rahman, organising secretary of Dhaka Transport Owners’ Association. 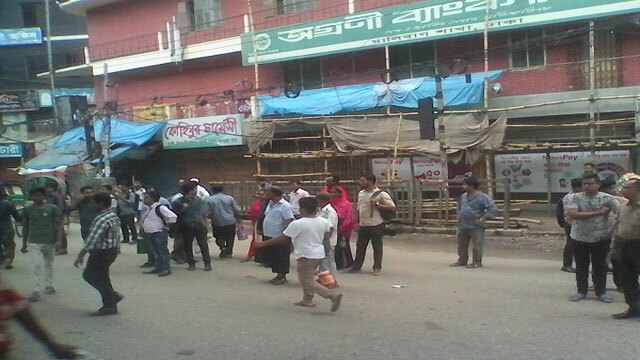 Beside, very few inter-district buses have left or entered Dhaka since this morning. President of Bangladesh Bus-Truck Owners’ Association Faruk Talukder Sohel said the number of buses leaving or entering Dhaka city is very low because the transport workers do not feel secured.